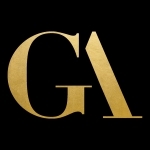 GA is a philosophy of simplicity - the natural way to express ourselves and enhance what we were given. Completely organic mind and completely organic care. The founder - Gennaro Dell’Aquila - started his career back in his hometown Naples, learning the stepping stones of haircare in one of the most prestige salons in Italy. A true admirer of women’s beauty, he couldn’t accept the harm and damage that comes with revealing it. So he devoted to finding a natural way through it. Simple is almost never easy, but up to date, GA benefits with over 20 different colour blends and even more treatments, derived by 100% Organic herbs, roots and flowers - all of them crafted and mixed around the individual to create a bespoke service and unlock their natural beauty. And this is just the direction of a journey guided by talented hair-experts and leading to the origins of the true and simple perfection.